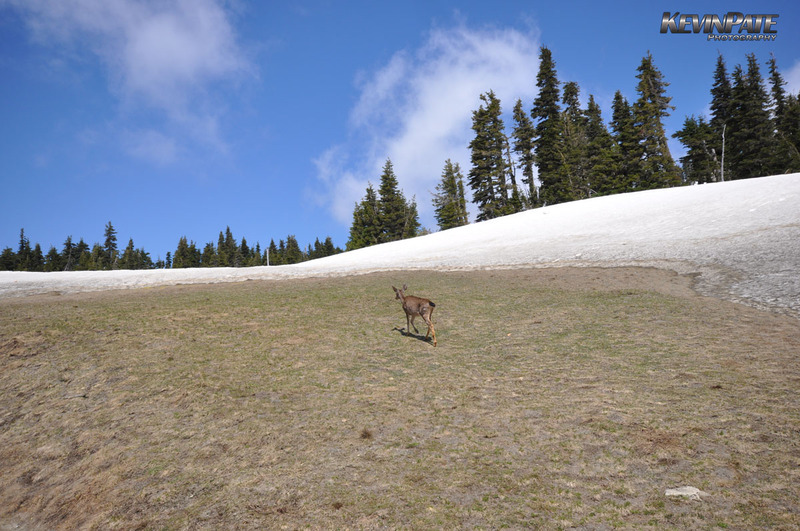 While trekking through areas of Hurricane Ridge located in the Olympic National Park I came across a small amount of wildlife. This area of Olympic National Park gained its name from the hurricane force winds that can rip through the area, sometimes without warning. 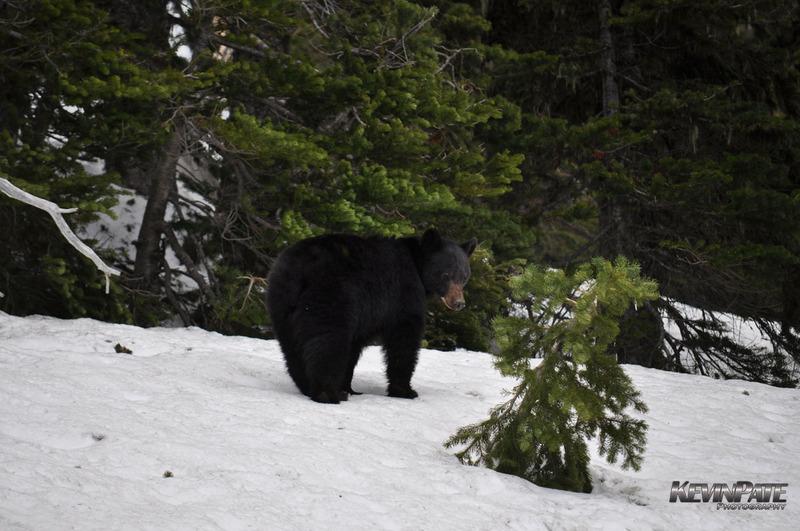 The area is a popular area for visitors, well-known for it’s views of the Olympic Mountains and several hiking trails. During the winter months, it also offers a small, family-oriented ski and snowboarding area. 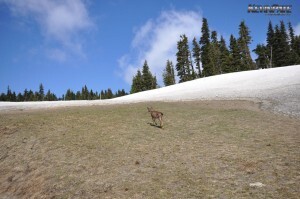 These photo snapshots were actually taken in July, as you can see, there was still plenty of snow around the area.